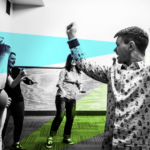 Gilles Chiasson knows all too well what it’s like to live on the streets of Montreal, fighting off frigid temperatures and feelings of social disconnection as people bustle about their busy lives around him, hardly sparing a glance. While it has been many years since he last slept on a sidewalk, Chiasson hasn’t forgotten the icy loneliness. Now he is looking to reach out to the homeless people of Montreal, offering warmth for both the body and the heart. 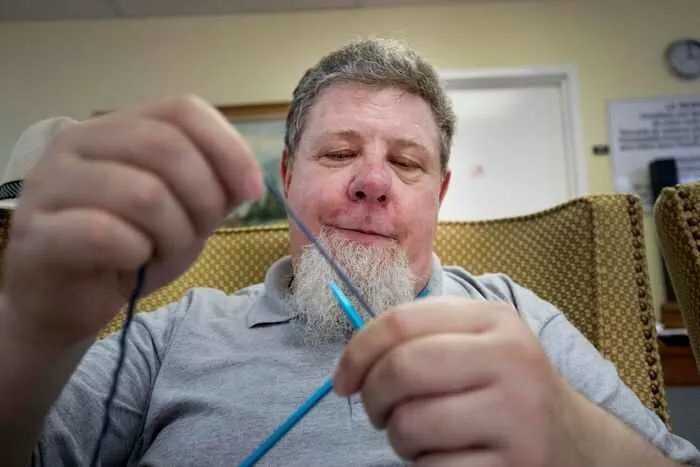 Though he didn’t have any experience with the handicraft, Chiasson founded a knitting group last month because he saw it as a way to not only protect homeless people from the elements, but also to show them that somebody cares. Together, some with knitting experience and some without, members of the small group meet every Tuesday in N.D.G. to make hats, socks, leg warmers, scarves and more to give to those who will need extra layers in the coming months.